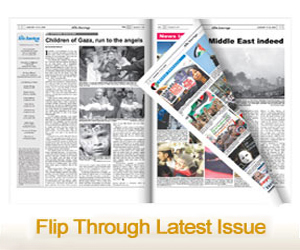 HOLLAND, OH — A group of Muslim doctors in Holland, Ohio (near Toledo) has opened a new clinic providing free medical services to people of all faiths, the Toledo Blade reported last week. The clinic was founded to serve the local community, providing services for everyone including the 25,000-plus people in Lucas County, Ohio who currently do not have health insurance. “We had a meeting and said basically, ‘We need to look for opportunities to give back to our community, our neighbors’, and this idea of starting a free clinic was hatched,” said Dr. Sulaiman Abawi, who works as an emergency medicine physician at Fulton County Health Center in Wauseon, Ohio. “All of us feel a sense of wanting to give back and wanting to think about more than ourselves and our families,” Abawi added. The doctors first began volunteering at homeless shelters in the area before holding semi-regular clinics at Masjid Al-Islam in Toledo on the city’s north side. Working together the doctors, including endocrinologist Dr. Mahmood Moosa, began pooling their talents and resources together to take care of the less fortunate. “We are part of this community like everybody else,” Dr. Abawi said, adding that he hopes their deeds will show people a true image of Muslims and the Islamic faith. A similar clinic was also founded in April in Northeast Philadelphia by Muslim doctors, and the Shifa free clinic in South Carolina has been administering its medical services to the needy since 2012. 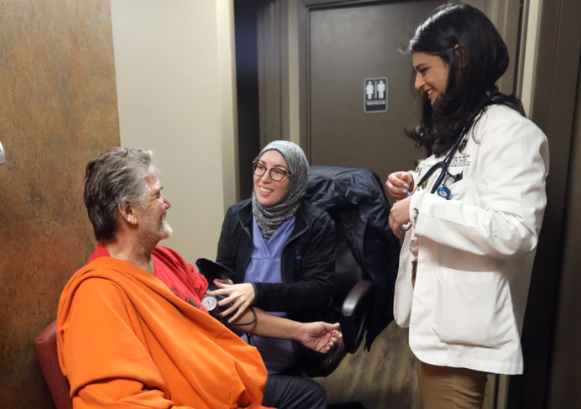 Several other free or discount clinics run by Muslim doctors have opened across the country in recent years as well, including HUDA Clinic in Detroit. The clinic provides primary, dental, mental health care and more for those in need.